"My search is your search. We must each have a common wish to find out who we are and the direction in which we can grow to reach the truth. The central idea of the Work with which we will be concerned is the recognition that man, as he arrives on earth, is by nature an incomplete being. Nevertheless, he contains in his structure the possibility of completing himself." 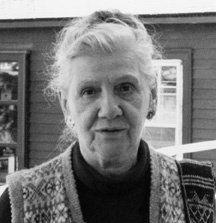 Mrs. Welch was a founding member of the Gurdjieff Foundation in New York in the early 1950s and a lifelong follower of the Gurdjieff teaching. This publication is a record of notes taken at meetings with her in Toronto. The notes were edited over a number of years by senior members of the Toronto Gurdjieff Foundation. Through this publication, Louise Welch's unique understanding and exposition of the Gurdjieff work can now be heard. Clothbound, 181 pages, 6.5" x 9", printed in Canada,$30.00 + shipping.